It’s that satisfying shiny puddle of glossy oil in the centre of the pan that heralds the start of many a great meal. And, every great meal deserves the very best of flavours from beginning to end. 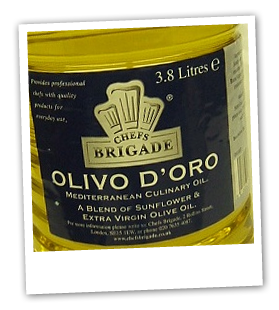 Our extensive range of oils is sure to delight anyone who knows about fine foods. Sapori, for instance, have infused their new range with the natural tastes Basil, Chilli and Garlic to bring that distinctive Mediterranean flavour to the simplest of dishes. New to our list is Wharf Valley Farms’ Cold Pressed Rapeseed Oil. Grown, pressed and bottled in Collingham, West Yorkshire, its purity is unquestionable. With a subtle nutty flavour it is ideal for dips and dressings and versatile enough for roasting or stir frying.